In this FREE on-line classroom Your Technology Tutor Chet Davis will provide an introduction to the new Timeline profiles on Facebook Fan Pages (for business & organizations). You'll get an overview of why your entity should have a Facebook Page (or maybe why it doesn't matter to you), what the new features of Timeline are, and how a business/organization can take full advantage of the new changes. 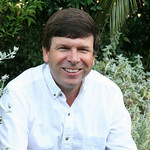 Chet will be offering a complete on-line class to help folks start and embellish a fully customized Facebook Fan Page later in April 2012. This 45-minute session is an introduction to this new Facebook Fan Page Profile View. The recording of our session will be available to those who sign-up in case you cannot make the live session or if you wish to review the information.